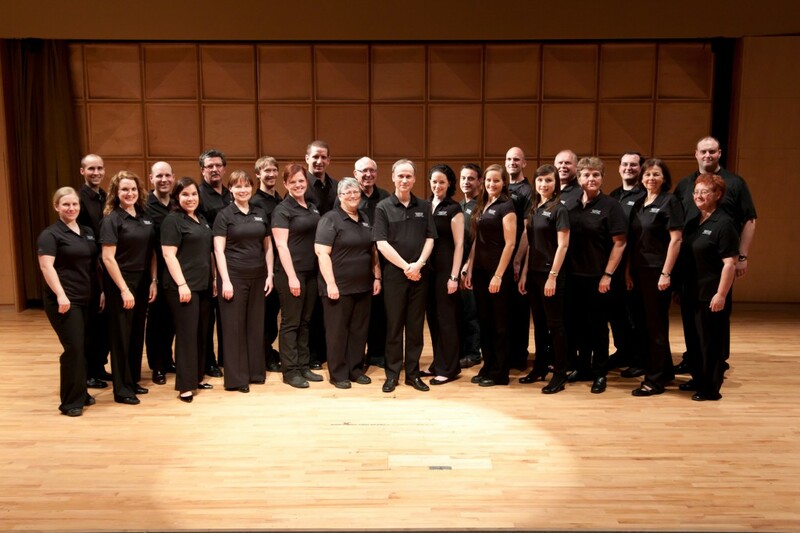 antus Vocum Chamber Choir is from St. John’s, Newfoundland and was founded in 1995 by its current conductor, Chad Stride. The Latin phrase Cantus Vocum translates to mean “the musical sound of voices” – a phrase well suited to the chamber choir, which has been quickly recognized and praised for its musical artistry. The chamber choir consists of twenty two members, who are auditioned on an annual basis and who currently represent professions of law, dentistry, education, engineering and medicine in the province of Newfoundland and Labrador. The choir’s repertoire spans from the Renaissance to the Twenty-First Century, and while their selection is primarily classical, they are known to include spiritual, folk and light popular culture selections in their programming to the delight of both choir and audience. Cantus Vocum prides itself in its repertoire of works by Canadian composers and in its ability to continually produce innovative programming to cover a broad spectrum of musical tastes. Cantus Vocum has found great reception all over the world. They have performed at St. Paul’s Cathedral in England; Beaumont Hamel in France; Ryelandt Hall in Belgium; at the Cologne Cathedral in Germany and in an International Choral Festival in The Netherlands. In July 2004, the choir toured extensively in Italy – a tour which was highlighted by a performance in St. Peter’s Basilica in the Vatican City. In 2008, the choir had a successful tour of Finland, Estonia, and the Czech Republic in July 2008. Cantus Vocum were warmly received by audiences in the Helsinki Cathedral in Helsinki, Finland; St. Charles Church in Tallinn, Estonia; St. Elizabeth’s Church in Parnu, Estonia, and in St. Salvator Church of Prague, Czech Republic, where they performed a joint concert with the Holy Heart of Mary Alumni Choir, a choir of fellow Newfoundland musicians touring Europe that summer. Most recently, the choir has toured Denmark and Sweden. To celebrate the choir’s 20th anniversary, Cantus Vocum will tour Hungary, Slovakia, and Austria in July 2016. While the choir appreciates and are thankful for the opportunities they have had to travel with their music, they value their performances closer to home, and in 2006, Cantus Vocum was a finalist in the CBC National Radio Competition. CVCC are also frequent guests of Rogers TV and CBC Radio. To date, Cantus Vocum’s discography includes: CV, Choral Voyages, Cantus Vocum Christmas, CV Spirit, CV Home, Deep in December and Both Sides.